Smoothies are a great way to start your day! They’re light, refreshing, packed with nutrients and can be so different and personalised! Whether you enjoy a smoothie as a quick breakfast in the morning to kick-start your day, as a pre-workout or a post-workout snack, or even as a mid-day pick-me-up, then this smoothie may be just for you! 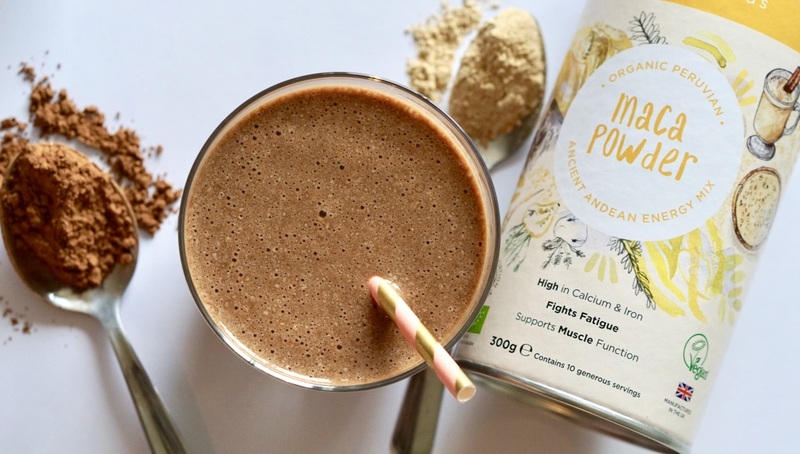 With natural energy boosting properties coming from our Creative Nature Maca Powder, a delicious Mocha flavour coming from coffee and the Creative Nature Cacao Powder, this smoothie will have you feeling energised and fuelled for the day ahead! Not only that, but with natural sweetness coming from a frozen banana, this Maca & Mocha Smoothie also tastes incredible and is a coffee lover’s dream! Prepare a strong cup of coffee or espresso and let it cool down for a couple of minutes. Place all the ingredients into a high-speed blender and blend for 1 minute or until smooth. Pour into a glass and enjoy in the morning as a light snack or addition to breakfast!